Once upon a time, when we wanted to watch a movie at home, we would get in our cars and drive to a Blockbuster store to rent a movie for one or two nights. This is the way that things were up until 2000. Around then, DVDs showed up. That was when Blockbuster started to run into troubles. Blockbuster didn’t make a good transition to the new world of DVDs. The movie studios decided to try to sell DVDs directly to consumers bypassing the rental stores. In the end, this never worked and Blockbuster bounced back up until about 2008. Each Blockbuster store found itself in a sticky situation: they had to change out their inventory of video tapes and replace them with DVDs. This was an expensive undertaking. In 2008, the global downturn hit the world. This meant that Blockbuster customers had less money to spend on rentals. At the same time, the ability to stream videos over the Internet started to become a reality. Both of these events created a situation that Blockbuster was never able to overcome and they lead to the eventual closing of all of the Blockbuster stores. Why Do The Blockbuster Franchise Stores Think That They Can Make It? The Blockbuster franchise stores have had to use their product development definition to find different ways to provide services that their customers will want. One of the things that these stores provide includes new-release movies. The Blockbuster store is the only place that customers can go to get these titles. Most of the rental outlets that the Blockbuster stores are competing with don’t get new-release movies for a month or more after they come out. Clearly this approach is something that could be added to a product manager resume. Additionally, the Blockbuster franchise stores are competing on price. They price their new-releases less than people will pay if they stream them online. Older movies are available for $0.49 per day or $0.99 for five days. Franchise Blockbuster stores report that 50% of their rentals are of movies that are more than a year old. Finally, the process of watching a movie online can be complex. You have to find the sites that have the movies that you can purchase. Then your computer has to have enough processing power to display the video and you have to have a large enough Internet connection to support the streaming service. What the Blockbuster stores have discovered is that is just too much for many of their customers. They would prefer to visit their stores and leave with a movie on a physical DVD. The owner of the Blockbuster chain of video rental stores has finally decided to throw in the towel and is planning on shutting the remaining stores. The exception to this is 50 independently-owned franchise stores – they are going to stay open. Despite there being nothing in a product manager job description that tells us how to keep our product alive in this type of situation, the product managers at the franchise Blockbusters are busy looking for ways to keep their doors open. 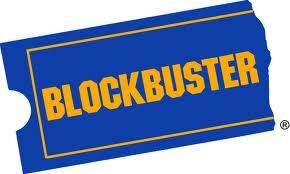 Blockbuster was done in initially by the arrival of DVDs that Netflix showed could be delivered via the postal service. The arrival of streaming video services was the final nail in Blockbuster’s coffin. The owner of the franchise stores believes that he can continue to operate a profitable business. He’s targeting customers who don’t understand or don’t want to rent new release movies online. He’ll also be able to provide new release movies quicker than competing services. Finally, he’s going to use aggressive pricing to attract more customers. No, Blockbuster is never going to come roaring back and be as big as it once was. However, in certain niches it appears as though Blockbuster can still exist as a profitable business. We product managers need to understand that we need to pick our battles. Make sure that you pick a market where your product can be successful and then go out there and capture that market! Question For You: Do you think that there are any markets that the franchise stores can expand into? As product managers, it is our job to make sure that our products meet the needs of our customers. As part of our product development definition we spend a lot of time trying to find ways to get the message about our product out to our customers: we run ads, we attend tradeshows, and we create a great deal of collateral. However, it turns out that the most powerful form of communicating about our products is out of our hands: it’s word of mouth.